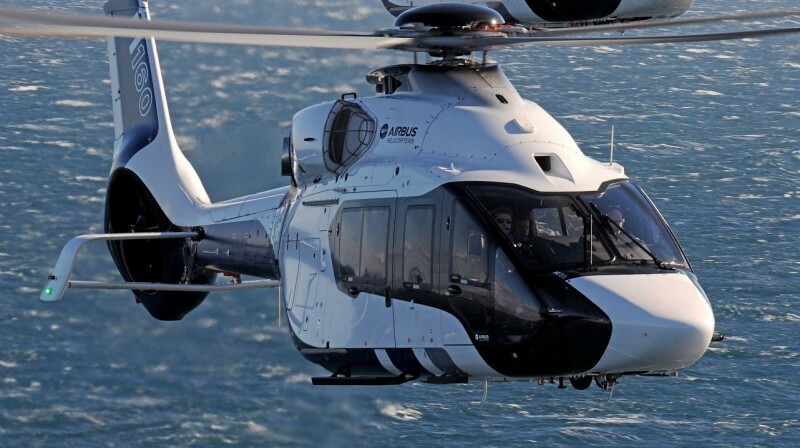 PARIS --- France will order 160 to 190 Airbus H160 helicopters to meet the inter-service requirement for a new Light Joint Helicopter program, and will bring forward initial deliveries by at least four years, to 2024 at the latest, French Defense Minister Jean-Yves Le Drian said March 3 in Marignane, southern France. During a visit to Airbus Helicopters’ main production plant there, Le Drian also said that France would also quickly look to the replacement of the Super Puma family, of which several models are in service with the French army and air force. The two programs are crucial for the replacement of Airbus Helicopters’ product range, and the government commitment to both is especially important given the way the downturn in the oil and gas industry and continuing problems with the Super Puma in North Sea operations have affected the company. Le Drian did not say when the first military H160 order will be awarded, but as the current cabinet will be dissolved after the presidential elections in April, it cannot be far off. Any order will have to be ratified by whatever new government follows the elections, but that should not be a problem given that all major parties have promised to increase defense spending, although timing might be an issue. “At the last meeting of the ministerial committee on investments, I decided to make the H160 the basis for the future light helicopter, the HIL,” Le Drian tweeted from Marignane. The Hélicoptère Interarmées Léger (HIL) program is intended to replace the various light helicopters in French service, ranging from the army’s remaining Gazelles to the Navy’s Panthers, Alouette IIIs and Dauphins, and the air force’s Fennecs, all made by Airbus HC’s predecessor companies. One of the HIL’s goals is to rationalize maintenance and support across the three services, and thereby generate substantial savings as well as improved operational availability. “As you already know, because I have said it before, I am not satisfied by the availability of our helicopters….for many complex reasons, including our extremely complex contractual architecture, which dilutes responsibilities, as well as performance shortfalls by industry, and by Airbus Helicopters in particular,” Le Drian said in Marignane. Their intended replacement, the new-generation twin-engined H160 that Airbus Helicopters is preparing to launch on the civil market in late 2018 or early 2019, weighs less than six tonnes and has been engineered to reduce noise levels by half. Airbus HC says its initial target for the H160 is 1.6 maintenance man-hours per flight hours, an availability of 95% “at entry into service,” and a 15% improvement in fuel burn. Little is yet known about its military versions, which were initially to enter service in 2028, except that they will be configured for light transport and liaison, logistic support, search and rescue, command and control missions as well as training. The naval version will be armed with the Anti-Navire Léger (ANL) light anti-ship missile, known to the Royal Navy as the Future Anti Surface Guided Weapon (Heavy) which MBDA is developing for both countries under a development contract awarded in March 2014.